Entertainment Earth just received our The Big Bang Theory BAZINGA!™ Umbrellas in their warehouse! 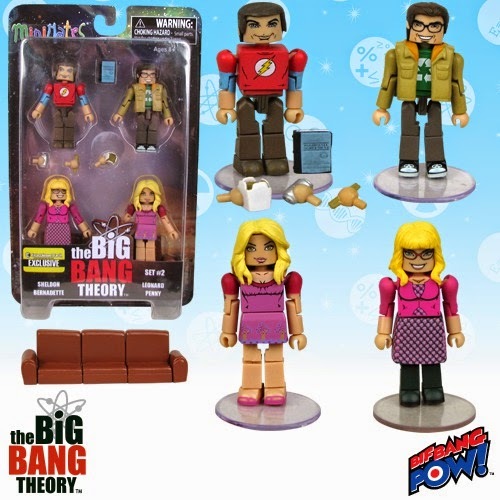 See all our fantastic The Big Bang Theory products at Entertainment Earth! 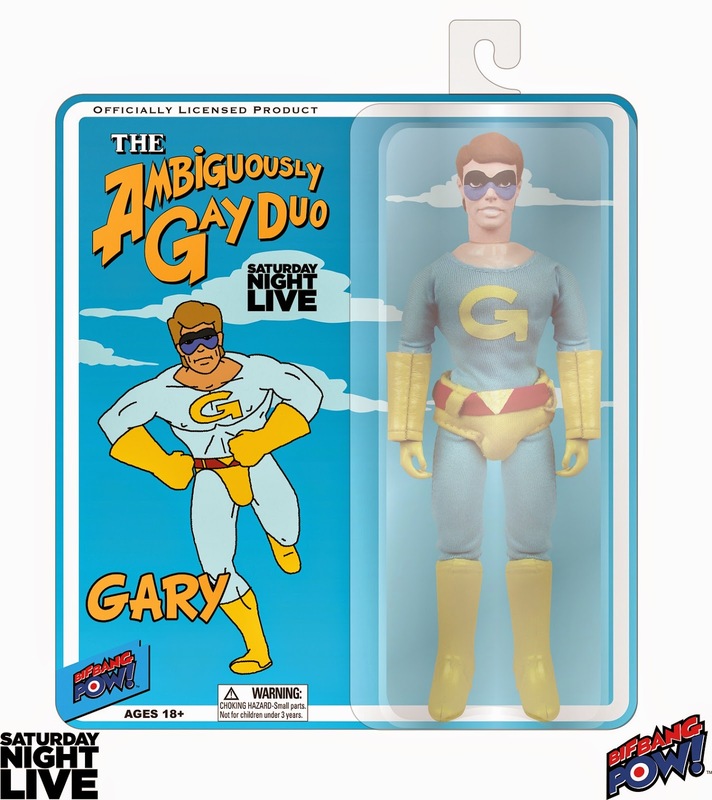 The first-ever action figures for "The Ambiguously Gay Duo's" Ace and Gary are finally here! 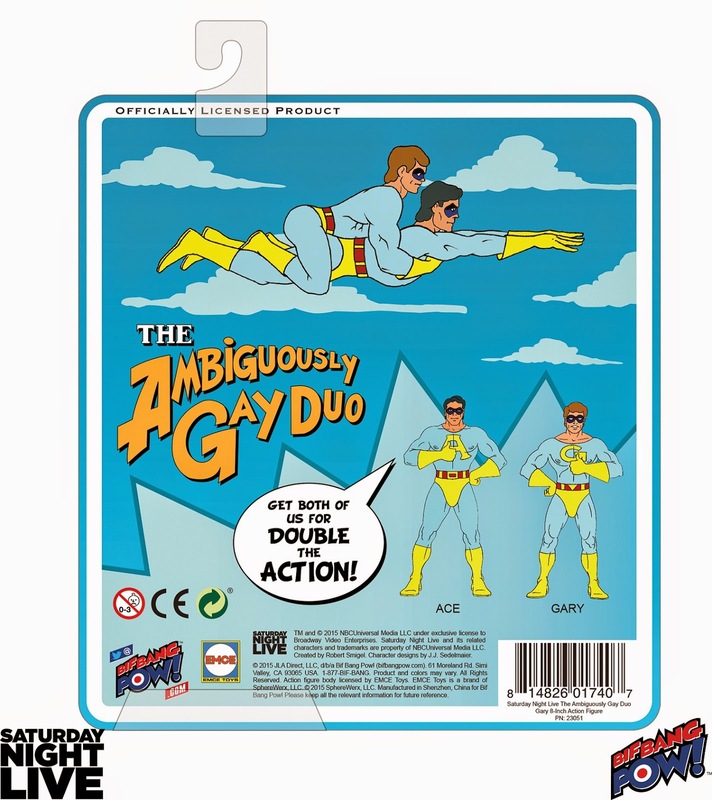 These retro-style Saturday Night Live Ambiguously Gay Duo 8-Inch Action Figures from Bif Bang Pow! 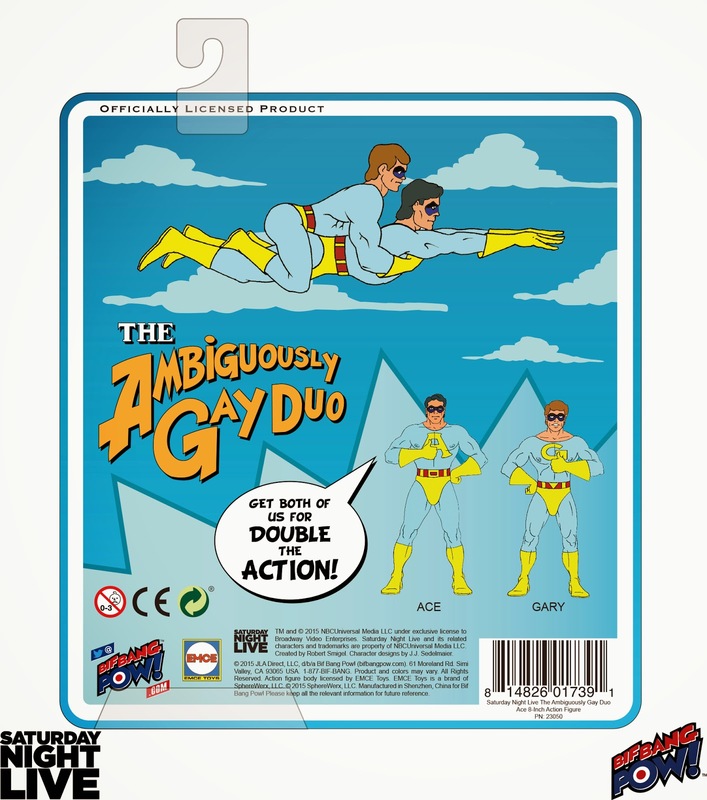 are right out of Saturday Night Live and the hilarious cartoon that never would have made the cut on Saturday morning. 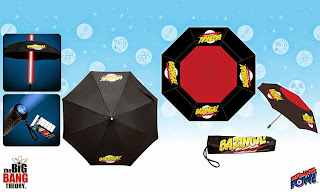 Order these crime fighters today! Ages 18 and up. 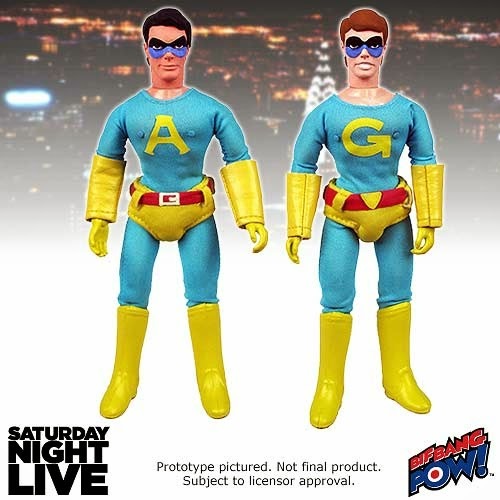 Ace and Gary stand about 8-inches tall in show-accurate "superhero" costumes fashioned of real cloth that include a bold "A" or "G" emblem on the chest, respectively. 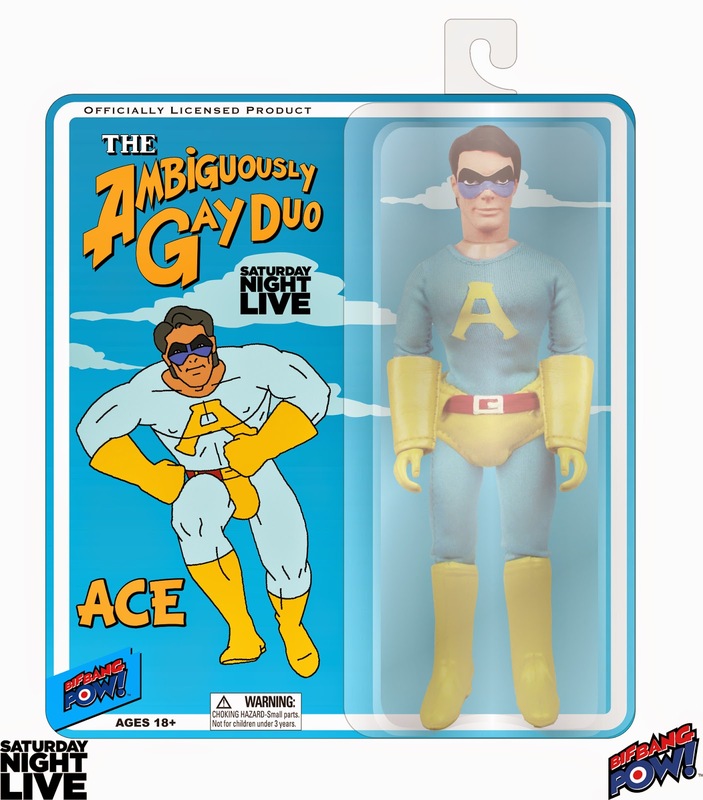 In a retro style reminiscent of popular action figures from the 1970s and 1980s, they also include multiple points of articulation and come packaged on a 4-color blister card. That's right, friend-of-friend! Series 1 also includes these fantastic accessories: a remote control, a laptop... and that famous couch! 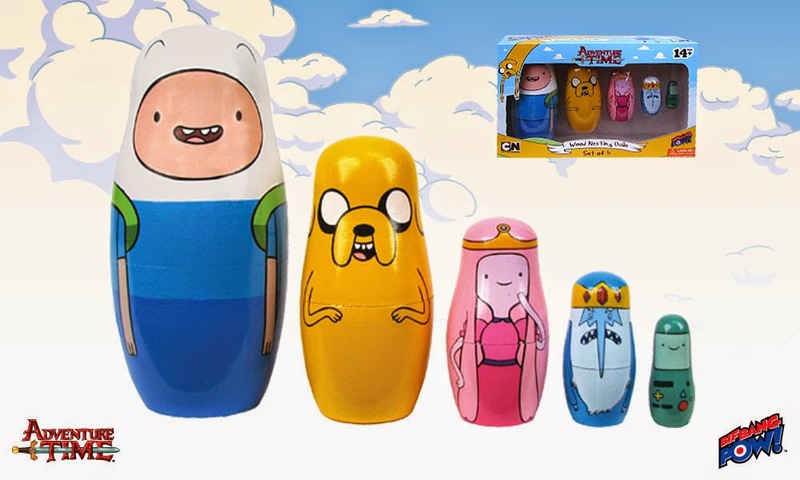 Collect both Series 1 and Series 2. 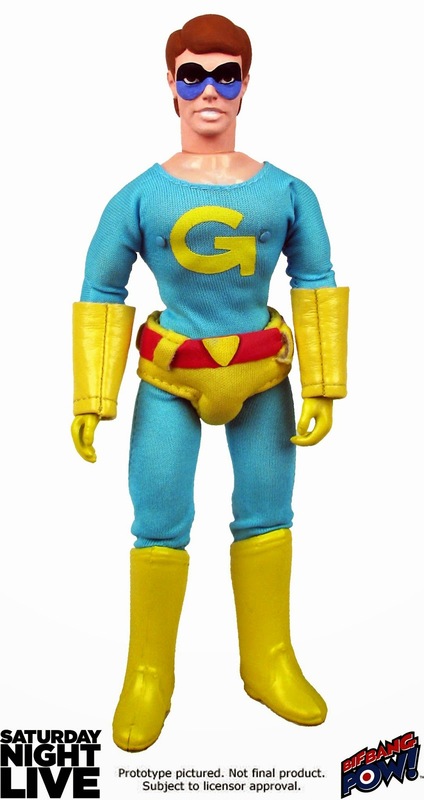 Series 2 sold separately. Howard Wolowitz is an engineer in applied physics. He recently retired his ‘ladies man’ aspirations and married girlfriend Bernadette Rostenkowski, who he initially bonded with over disdain for their overbearing mothers. Even though he’s constantly picked on by Sheldon for lacking a Ph.D., Howard achieved the prestigious accomplishment of going to space (and will never let his friends forget it). He also has a gift for celebrity impressions, and a horrible nut allergy. Dr. Amy Farrah Fowler – is a neurobiologist who first popped up as a possible match for Sheldon through an Internet dating site (that Howard and Raj signed him up for without his knowledge!) Amy, like Sheldon, is a genius who has previously avoided relationships. In fact, she only met Sheldon because she was fulfilling her promise to her mother to go on at least one date a year. Things have changed for Amy, however, as she is now living the life she always dreamed of as a pubescent teen. 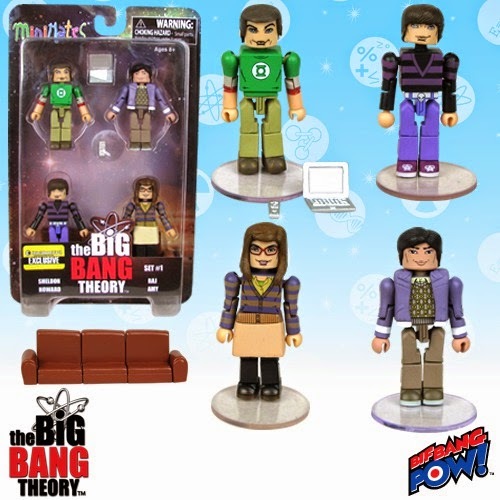 Penny and Bernadette are her best friends and she has succeeded in making Sheldon Cooper her boyfriend. (“Relationship Agreement” penned by him, of course. 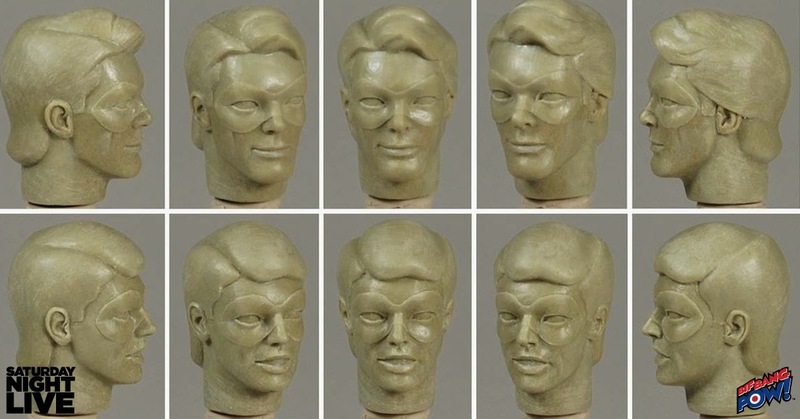 Swoon!) She even shared a Valentine’s Day kiss with Dr. Cooper. Dr. Rajesh "Raj" Koothrappali is a sensitive soul; the kind of guy who’s not afraid to kick back with a glass of wine and a good “chick flick”. 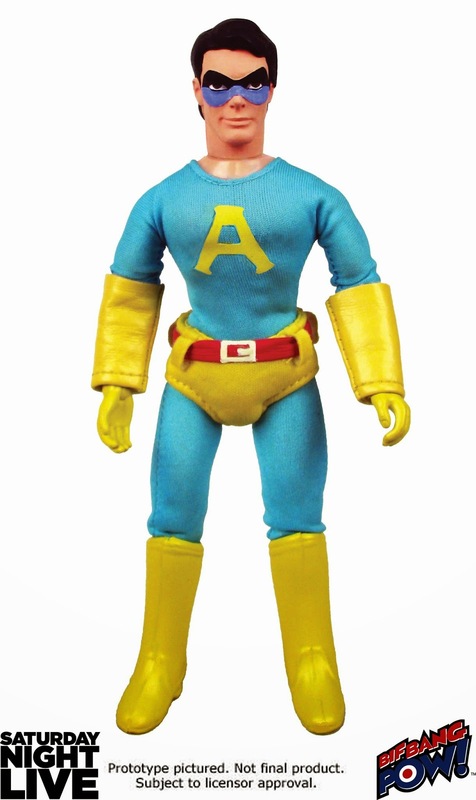 But make no mistake, he’s all man. Recently, Raj overcame a lifelong inability to speak in the presence of women. Now, he must learn what to actually say to a woman that won’t send them running. Originally from New Delhi, India, Raj works in the Physics department, where he specializes in particle astrophysics. Occasionally visited by his sister, Priya, who’s a lawyer, Raj often communicates with his Indian parents, Dr. and Mrs. Koothrappali, through a webcam. In his spare time, Raj likes to stage mystery dinner theatre and scavenger hunts for his friends.